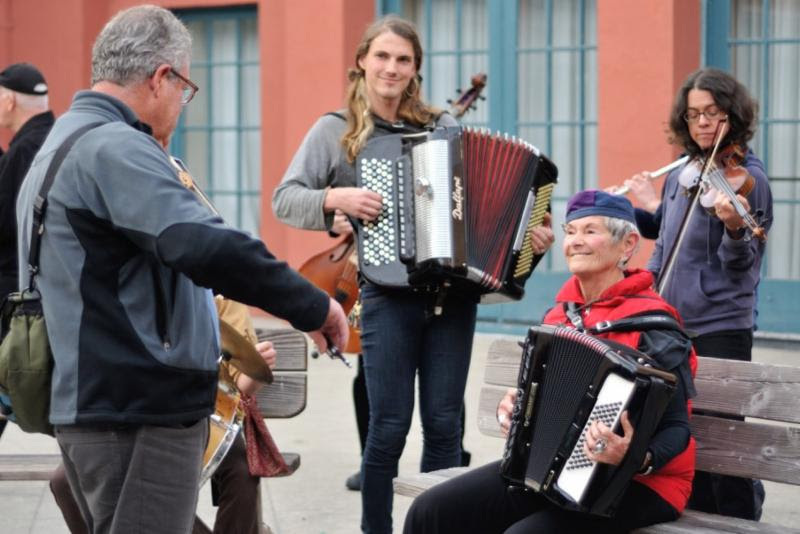 YOU are part of a lively Bay Area region-wide community of people of all ages who love Yiddish culture and klezmer music. We hope KlezCalifornia brings joy to your life! 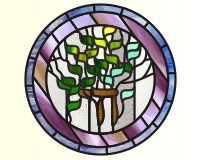 Our subscribers/members are all kinds of people: Yiddish speakers and not, musicians and not, people who come often to our events and people who simply like to read our newsletter's monthly Yiddish proverb. 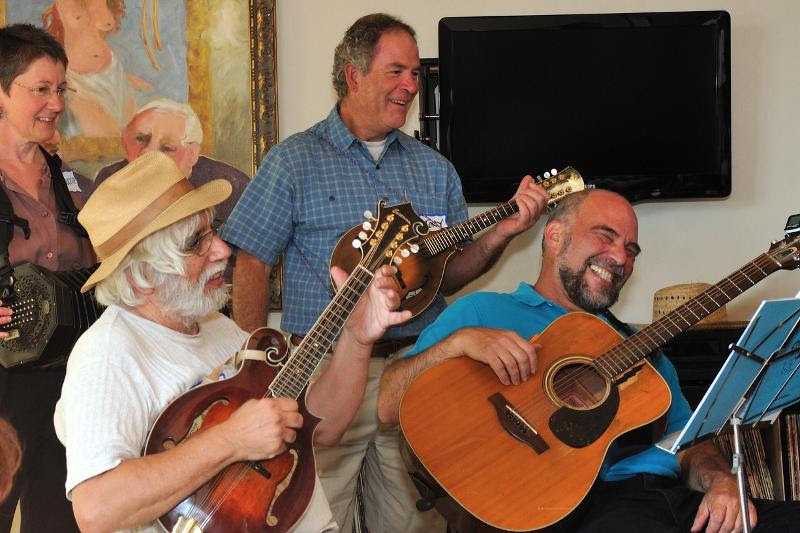 Please help provide the financial support that enables KlezCalifornia to bring you fun and community through connection with Yiddish culture. Whether you've been a member/subscriber for a long time, or came to your first KlezCalifornia event just a week ago, we welcome your support (If you are a new subscriber, let us assure you we ask for a donation only once a year.). or via check payable to KlezCalifornia and sent to us at 1728 Allston Way, Berkeley, CA 94703. * You and a guest are invited to two special parties each year. The next one is on Purim, Sunday, March 12. Save the date!
. This is a fine way to honor or remember a loved one, special friend, or teacher, to write about your own Yiddish heritage, or for any other reason! 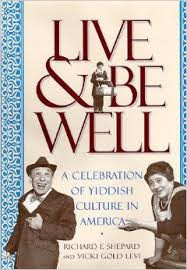 * Donors of $54 or more may choose one of four "thank you" gifts: "Live & Be Well, A Celebration of Yiddish Culture in America," by Richard F. Shepard and Vicki Gold Levi OR "The Oy Way," a book by Harvey Gotliffe, which helps you learn Yiddish expressions while engaging in meditative exercise OR DVD of the wonderful 80-minute "Yiddish Theater: A Love Story"OR eight beautiful, brightly-colored, music-themed greeting cards designed by Sonoma County artist Nina Bonos. , around the Bay Area. If you attended this year's Cabaret at the Osher Marin JCC November 20 or JCC East Bay December 4, you've enjoyed this unique experience of some of the Bay Area's fabulous talent! Many people brought their friends and this is how our community grows. 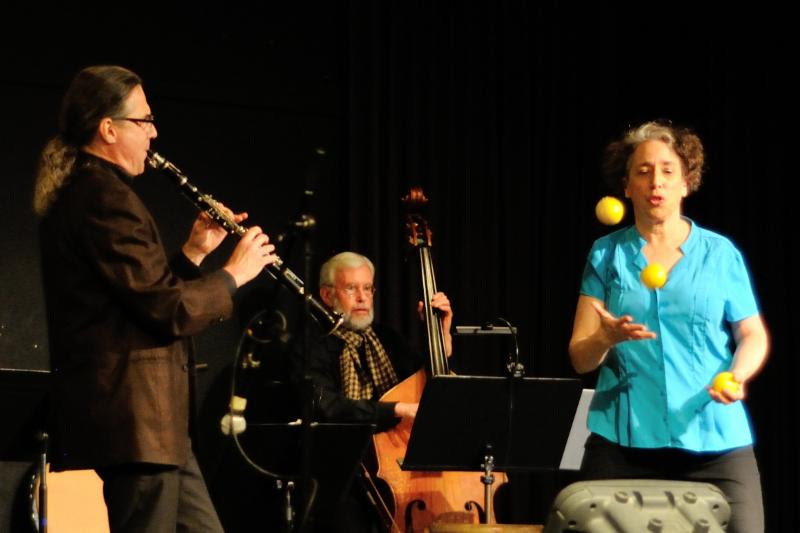 The image is of Sara Felder (storyteller/juggler/comedian) with The Gonifs klezmer band at the Cabaret at JCC East Bay. , in Berkeley, Palo Alto, and San Francisco. We hope to offer more than a dozen get-togethers in 2017. Bring your instrument or come to listen! bringing you a calendar of all Yiddish-related and klezmer events in Northern California. Whatever your interests, wherever you live, we connect you with Yiddish culture. 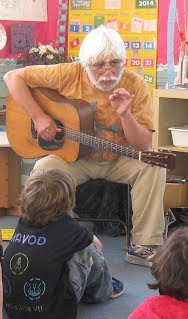 , bringing Yiddish culture to Jewish young people in religious schools, day schools, and day camps. In the past three years we've written and tested more than thirty hours of classroom activities and made 56 presentations in 21 schools. Please let us hear from you before the year ends! A sheynem dank! Thank you very much for your financial support of KlezCalifornia!